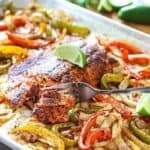 Easy Sheet Pan Salmon Fajitas! A super fast and fresh way to get a healthy dinner on the table in a snap! Why didn’t I ever think of this before? It’s soooo good and soooo easy! 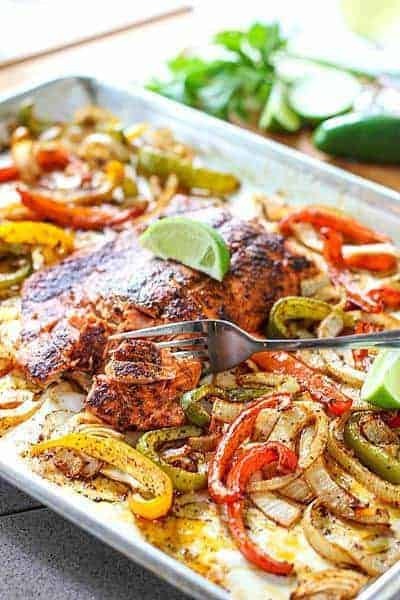 It’s prepared exactly like my Sheet Pan Chicken Fajita’s but I swapped out the chicken for the salmon. You use the same simple olive oil and spice mixture to toss the veggies in and brush on the salmon. 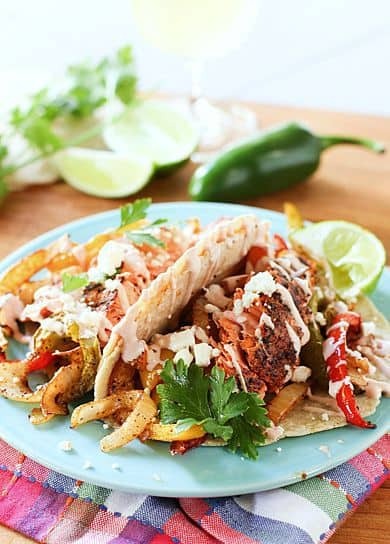 Plunk it all on a sheet pan, grab the tortillas, some condiments and dinner is done in 30 minutes! And a healthy dinner at that! Notes: If possible, leave the fillet whole rather than cutting into serving sizes. This way it takes a few minutes longer to cook and the veggies can get nice and brown on the edges. I’m back after a week long wedding whirlwind. My kiddo got hitched and everything went perfectly! The sun was out and love was in the air. I don’t have tons of pic’s to share yet but here are a few that some of the guests took. 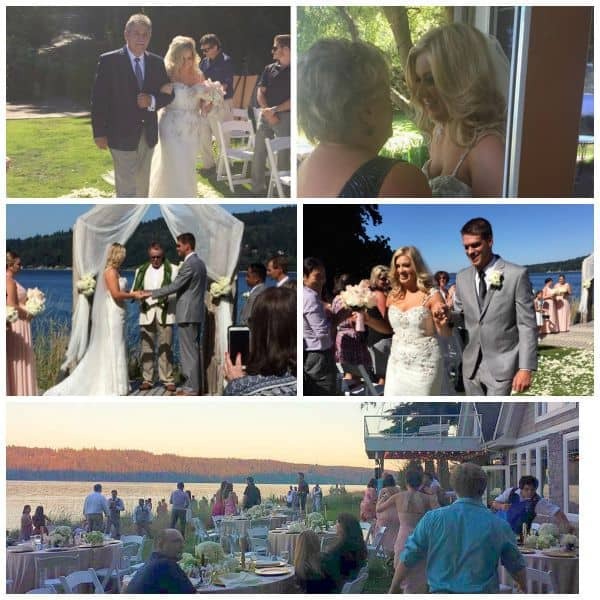 It took place on a beach at a beautiful venue about an hour outside of Seattle. Rachel did an amazing job of planning this thing! 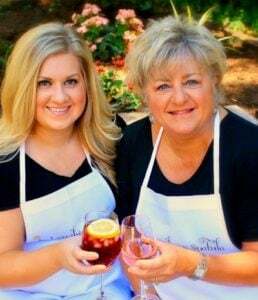 I now have a son-in-law, Greg and my girl has changed her name. Tears on my keyboard…so happy for them both! A super fast, fresh and healthy dinner in a snap! Who doesn't like taco's? Place salmon fillet on prepared sheet pan and brush with a small amount of the olive oil mixture. Toss remaining olive oil mixture with veggies and add to sheet pan, spreading around the salmon. Bake for 20-25 minutes until salmon is cooked and the veggies are soft with a crispy edge. Crystal. It’s pretty mild. I don’t like hot hot. Thanks!